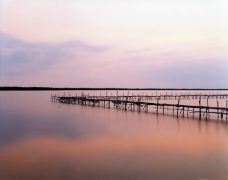 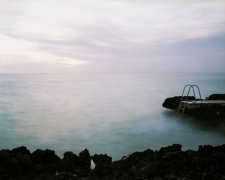 Joseph Bellows Gallery is pleased to present an exhibition by of photographs by Virginia Beahan. 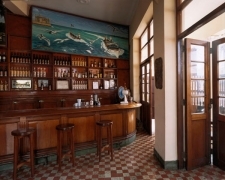 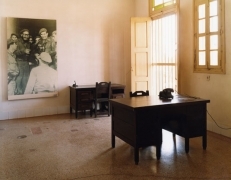 The exhibition will feature photographs from Beahan's series on the social and political landscape of Cuba, and will be on view from May 6 to June 7, 2011. 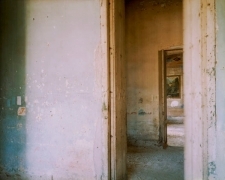 An opening reception will be held on Friday, May 6 (5-8 pm). 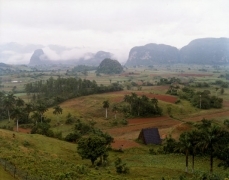 Beahan became interested in Cuba in 1986 while visiting her father who was living in the Miami neighborhood known as "Little Havana." 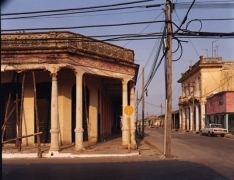 She was captivated by the brightly colored housed, the Latin music, and the vivacity of the community. 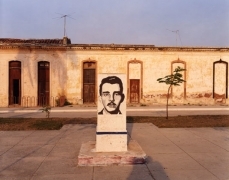 Moved by stories neighbors told of their flights from Castro's Cuba and of families being torn apart, Beahan was equally struck by the anger, as well as the resilience, of those who suffered the effects of the 1959 Revolution. 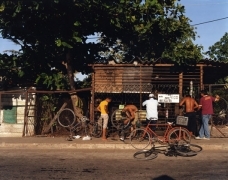 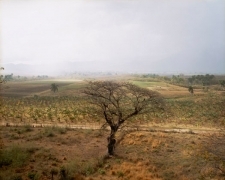 The artist traveled to Cuba in 2002 for a project called “Cuba on the Verge: An Island in Transition,” which was conceived and curated by Terry McCoy. 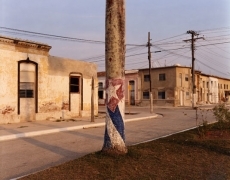 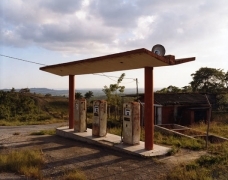 This collaboration of American and Cuban writers and photographers culminated in an exhibition at International Center for Photography in New York in 2003 and book by the same name published by Bullfinch Press. 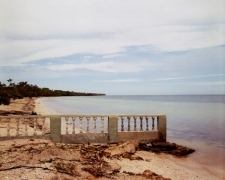 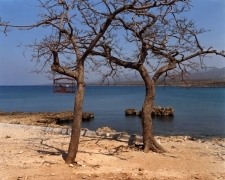 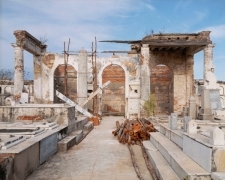 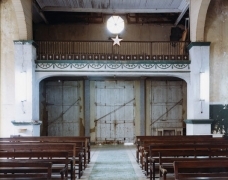 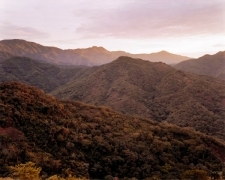 Beahan chose to photograph the physical topography of the island country and focused on historical sites of the Revolution. 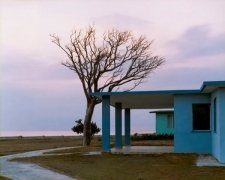 Her large-format color photographs reveal the imprint the Revolution left on Cuba's landscape, even today. 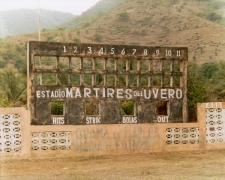 In some cases, remnants of the Revolution are literally written on the landscape as in Baseball Scoreboard, Estadio Martires del Uvero, which depicts a baseball field near the site of the first major clash between Castro's rebels and Batista's forces. 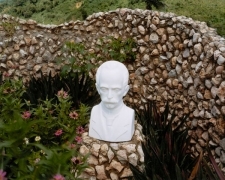 White rocks in the landscape behind the scoreboard spell out the political slogan, "Viva Fidel." 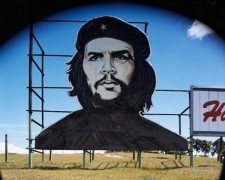 Another image, Panaderia René Ávila Reyes, Martir del la Revolución, Holguín, Cuba shows a bakery façade on which are painted portraits of Camilo Cienfuegos and Che Guevara, revolutionary heroes who defeated Batista's troops in the decisive battle at Santa Clara. 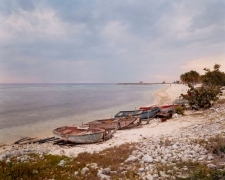 View of Bahia de Cochinos, Near Punta Perdiz, is a surreal seascape of the notorious Bay of Pigs: site of the disastrous CIA sponsored invasion by Cuban exiles on April 17, 1961. 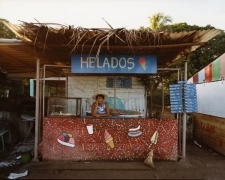 Beahan's photographs examine the social, cultural, political and physical landscapes of a country with a tumultuous past and an uncertain future. 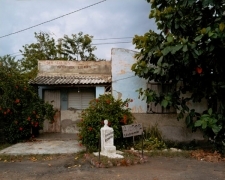 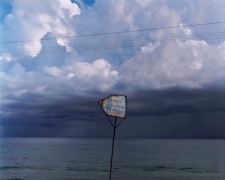 About her work in Cuba Beahan writes, "I hope my photographic exploration of this important island neighbor makes visual the ways in which the land tells its stories not only about the past, but also about the present, which seems so fragile and compelling." 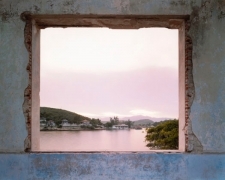 Virginia Beahan has received numerous awards including the John Simon Guggenheim Foundation Fellowship, the Mellon Foundation Grant, and the New England Foundation for the Arts Fellowship. 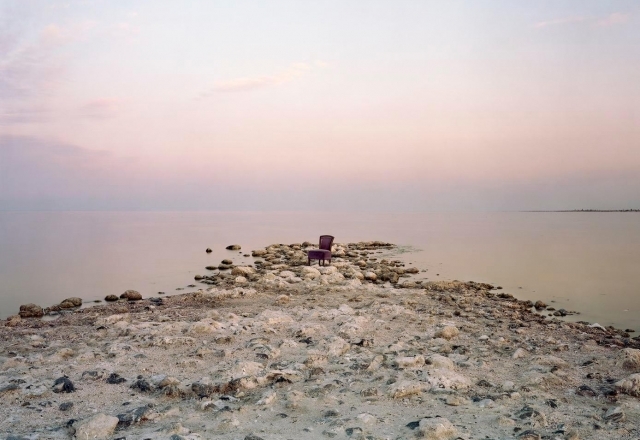 Her work has been widely exhibited both nationally and internationally. 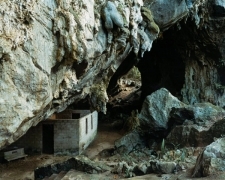 Beahan's photographs are in the permanent collections of New York's Metropolitan Museum of Art, J. Paul Getty Museum of Art, Los Angeles, Corcoran Museum of Art, Washington D.C., Santa Barbara Museum of Art, Museum of Fine Arts, Houston, San Francisco Museum of Modern Art, Fogg Museum of Harvard University, and the Museum of Fine Arts, Boston, among others.